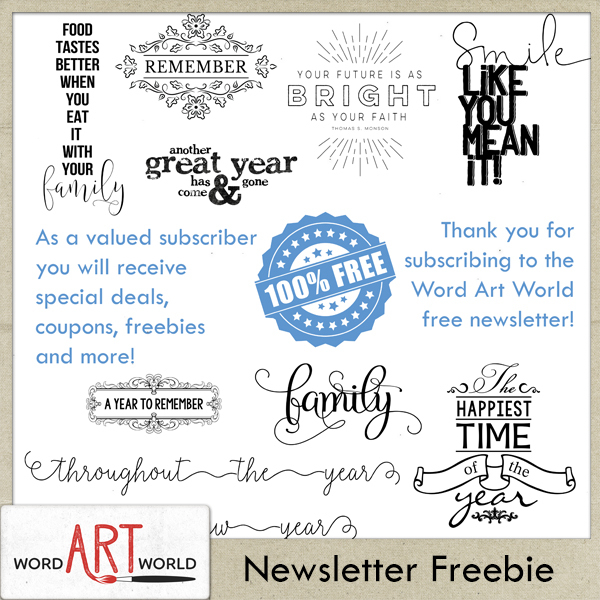 Word Art World: January Newsletter Freebie! 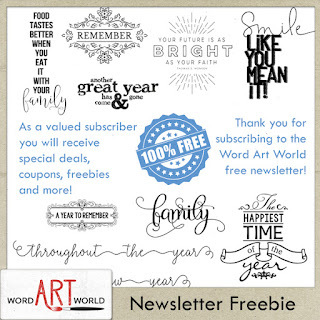 Each month, I offer a free word art pack in my newsletter. You can sign up for my free newsletter HERE. Just check your inbox and click on the link inside the newsletter. Thank you for the word art -- I especially like the ones about family. May you have a beautiful & blessed new year!